I would like to take this opportunity to welcome all returning and new families to the NHEES/OVES 2013-2014 school year! The NHEOV PTA looks forward to seeing you at school, meetings, events, and fundraisers. The purpose of the PTA is to support the faculty, staff, parents, and especially our students. Every Child-One Voice is the National PTA motto and the PTA is one of the strongest voices in the educational process that directly supports our children and schools. This year will be no different. Your PTA has been busy preparing for a very productive and exciting year. In order for the PTA to be effective; we need the support and involvement of the parents of our students. When you hear of the fantastic things the PTA does, it is YOU who is responsible. When you hear the gratitude of the teachers as we pay for school supplies, they are thanking YOU. When you see all of our kids having fun at events, parties and field trips, it is because of YOU. When the PTA needs to raise funds and recruit volunteers to make this all possible…we look to YOU to help. 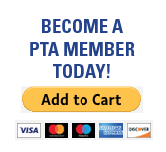 The first way to show your support is to become a member of the NHEOV PTA. Please take a moment to fill out the membership form and send it back on the first day of school or bring it to our PTA Welcome Back Ice Cream Social on September 3, 2013 in the NHE cafeteria at 7:30 p.m. – 8:30 p.m. The second way to show your support will be to participate in the events and programs that we have planned throughout the year. You may choose to be a committee chair, committee member, or volunteer. Whether you have 30 minutes or a couple of hours, your ideas, your time, and your talents are truly needed. There are endless possibilities in ways you can help. Research shows that students whose parents are involved in their education have better grades and fewer discipline problems. We promise that the time you give to the PTA and the schools will be worth your while—and fun! Please consider volunteering, it really does make a difference in the lives of all our children! The PTA welcomes you to join our meetings to voice your concerns and contribute your ideas to better our school. Meetings will be held on the second Tuesday of each month at 7:30 p.m. All meeting dates, locations and activities will be posted regularly on the PTA website, http://www.nheovpta.com and sent home in your child’s backpack. We would like to thank you in advance for your support. If you have any questions, please do not hesitate to contact me. Until then, stay well and enjoy the rest of these beautiful summer days.